Mylan and the EpiPen: Greed is Good? By now we have all heard that Mylan Pharmaceuticals is in hot waters for hiking the price of 2 EpiPens from $100 in 2007 to more than $600 today. Mylan and its CEO Heather Bresch are now being mentioned alongside infamous names like Valeant and Martin Shkreli. This new-found notoriety for Mylan brings to mind Gordon Gekko’s famous “Greed is Good” speech. Let’s examine the facts. Mylan N.V. is an American-Dutch pharmaceutical company founded in 1961 in White Sulphur Springs, West Virginia. Currently the company’s American headquarters is hosted in Canonsburg, PA. Mylan acquired the rights to market and distribute the EpiPen line of epinephrine autoinjectors in America from Merck in a 2007 deal. In 2007, the EpiPen (2-pak) wholesaled for $100. Starting in 2009, Mylan began increasing the price of the EpiPen (2-pak). The latest price hike came in May 2016 from $461 to $609, sparking widespread public outcry. In the same period of time, the profit margin on the EpiPen increased from 9% to 55%. In the same period of time, Mylan CEO Heather Bresch’s compensation increased from $2.5 million to nearly $19 million. 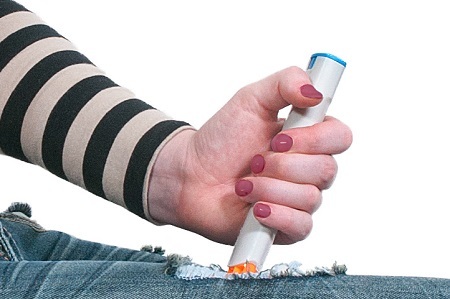 In 2015, EpiPen accounted for $1.5 Billion in sales for Mylan and 40% of its profits. Outside of the US, where the distribution of EpiPens is not controlled by Mylan, the price of the EpiPen remains relatively affordable. For example, in France, the EpiPen (2-pak) costs $85. And just to the north, Canadians pay ~$100 for a single EpiPen injector. In the week since the EpiPen controversy became public, Mylan’s stock (NASDAQ: MYL) has dropped 11.27%. Starbucks (NASDAY: SBUX) have continually hiked prices on its drinks, most recently in July 2016. This is despite the fact that coffee bean prices have dropped a whopping 35% in the last 2 years. So why did the Whole Foods price hike generate public outcry while no one seems to bat an eye at the Starbucks price hike? I believe the key difference is that the average consumer does not know the cost of coffee beans while the cost of asparagus is visible just down the aisle. Now obviously asparagus water and coffee are not the same as life-saving medications. While most consumers also have no clue what it costs to manufacture a drug, but one can assume 0.3mg of epinephrine costs a lot less than $600. In addition, there is a lack of competition when a pharmaceutical company develops a novel life-saving drug. It’s no coincidence that the latest EpiPen price hike came shortly after its main competitor Auvi-Q (Sanofi US) was recalled. Despite the outcry, I’m not entirely sure Mylan has done anything wrong. As a company, Mylan’s first obligation is to maximize shareholder value. Of course, in this case the backlash incurred did exactly the opposite of that, but it would be difficult to predict in advance that this price hike (32%) was going to be the one that sparked public outcry. After all, double digit percentage price hikes are nothing new in the pharmaceutical industry. In fact, Mylan hiked the price of EpiPens by 32% from 2014-2015. Do you remember the public outcry last May? Me neither. In summary, Mylan was simply exercising its pricing power in an industry it excels in, not unlike Costco leaving American Express for Visa. In Mylan’s case, there was no way they could have known in advance that this was going to be straw that broke the camel’s back. As a physician investor, you may be attracted to healthcare companies given your background and training. But I would caution you to be aware of the “headline risks” involved, especially with highflying biotech stocks. So is greed good? Yes and no. Just like how a little anxiety motivates you to study for an exam but too much anxiety may completely paralyze you, a healthy amount of greed motivates drug companies to develop new life-saving technologies, but too much of it will give you Mylan.